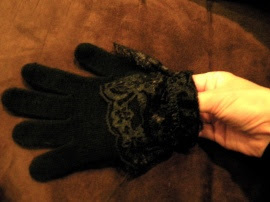 The other day, I was in the Aldo Accessories store at the mall when I saw a pair of really cool gloves covered in lace. They were pretty expensive for what I would actually be getting, though, and I realized that I could make these at home in any color I wanted for a lot less money. It was the tiniest wrist-hole ever, and I couldn't get my hand in the glove. 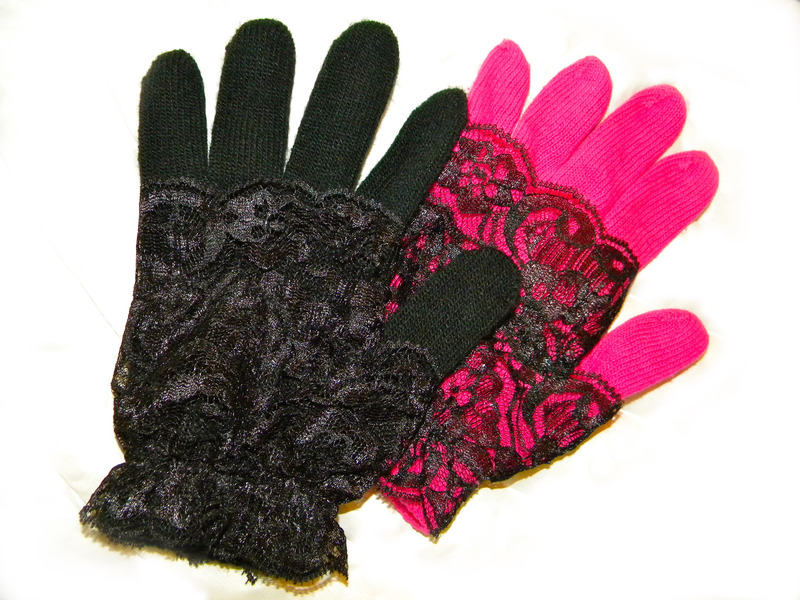 Oh, did I fail to mention that I also made these gloves in pink? I did, and they are my favorite. The only difference was that I had to be a lot more careful with my stitches because the black thread is more noticeable against the pink gloves. 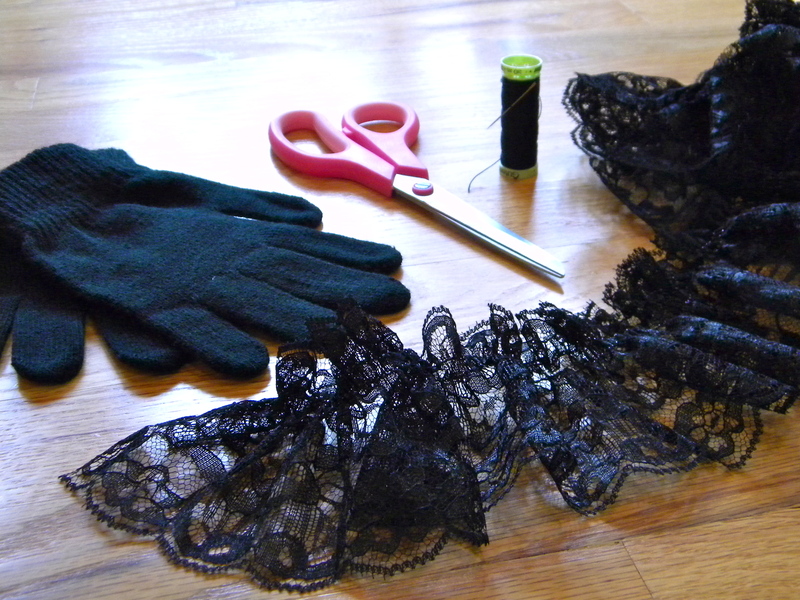 My lace wasn't thick enough to cover all the way from the wrist to the base of my fingers, so once I finished sewing the first round of lace, I cut a second round and sewed it on the part that was still bare. I ended up being really happy with having two separate pieces of lace on each glove because the first round could go around the base of the thumb and the second round could go inside the thumb on the higher part of my hand, so I never had to cut a thumb-hole. I repeated all these steps on three more gloves et voila! Two pairs of shmancy gloves for a grand total of $3.99. Love it. These are pretty! I love recreating things I've seen in shops. Oh I am loving those lacy gloves. So easy too. I think I am going to have whip up a few for Christmas. Thanks so much for sharing. Yay, thanks, I'm glad you like them!